The Faculty of Medicine, Nursing and Health Sciences, Monash University launched a new doctoral program and Graduate Certificate in Translational Research in 2015. Through this research program you will connect with industry and find out how to drive innovative ideas to market. Monash's three clinical schools (Central, Eastern Health and Clinical Sciences) in partnership with associated health services and research Institutes, are offering a novel training program for PhD candidates that will equip you to pursue post-doctoral careers in Translational Research. Such a training program is the first of its kind in Australia. It aligns with the recent launch of the NHMRC Research Translation Faculty. The new PhD program in Translational Research will enable career development for you, our brightest PhD candidates. It will establish the interdisciplinary working of clinicians and scientists, with the added advantage of access to "cutting-edge" technologies and facilities through collaborative industry engagement. The Graduate Certificate (Translational Research) shows you how fundamental scientific questions may have multidisciplinary clinical answers. This course is designed for healthcare professionals and biomedical scientists engaged in translational research, either at an academic or commercial level. 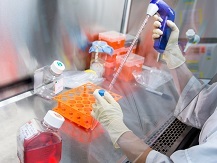 Training focuses on translational research and clinical trials methodology. The 24 point course articulates with the Masters of Bioethics and Masters of Biostatistics courses offered through Monash University. This course will enable you to understand processes involved in developing a basic science finding through to clinical trials. The course modules (Biostatistics, Bioethics, Clinical Trials and Translational Research) offer the basic foundations of discipline-specific laboratory research questions and how these can be applied to broader clinical applications. Delivery is multi-modal and workshops can be taken either full time for one semester or part time over a year.